This 12-day tour offers the opportunity to explore the highlights of Southern Spain and Morocco. 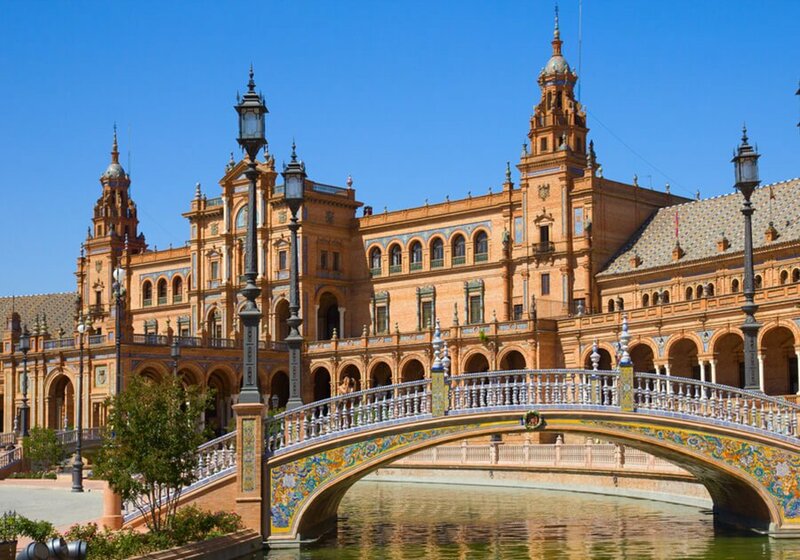 Start your journey in Cosmopolitan Madrid before discovering the beauty of vibrant Andalusian cities such as Cordoba, and its rich Moorish legacy; The Marvelous Seville with its beautiful gothic Cathedral and the gorge-top town of Rondafamous for its amazing views. 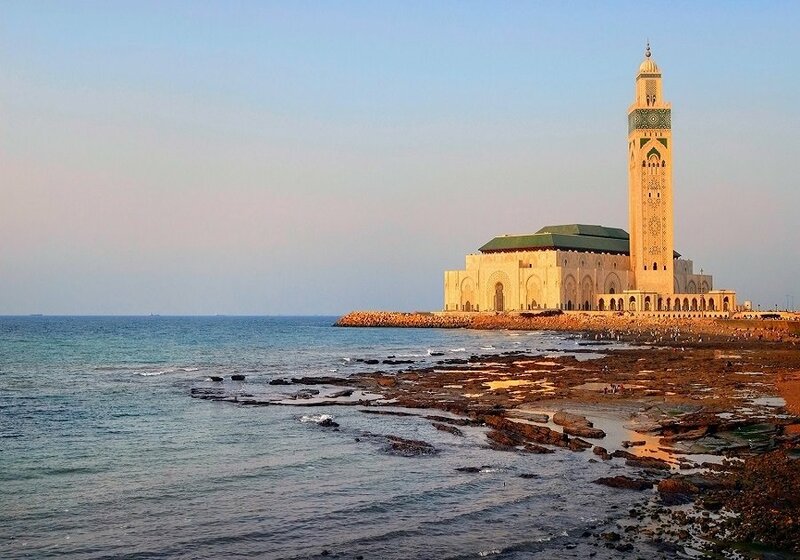 Then cross the Straight of Gibraltar to Tangier and continue on to modern Moroccan cities of Casablanca and Rabat, before visiting Marrakesh where blends the antique with the modern. End your Moroccan journey in Magnificent Fes, one of the most preserved ancient walled cities in the world. End is glory and tour Spanish marvels of Granada and Toledo before returning to Madrid. Our Chamber travel tour explores the fascinating history and cultures of these two countries. Admire the 3rd largest mosque in the world – The Mosque of Cordoba. Enjoy the astonishing panoramic views of Seville. Spend time hunting for bargains in Fez’s medieval Medina. 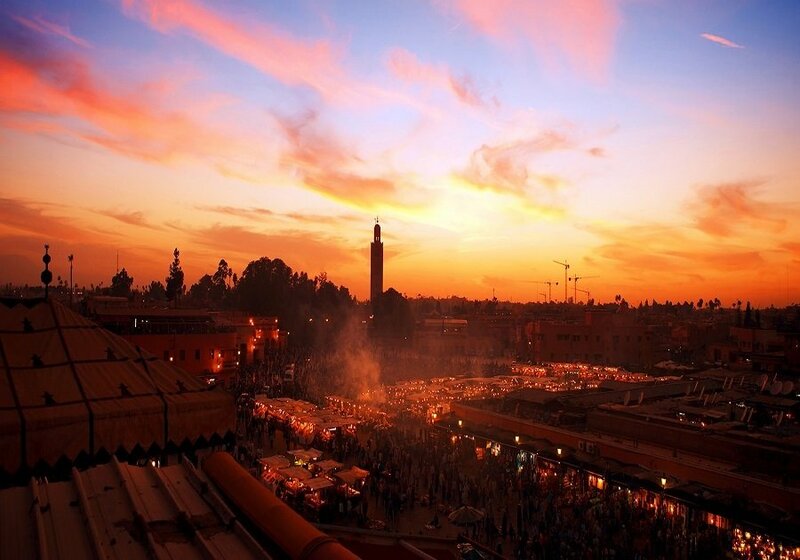 Visit Djemaa el Fna Square in lively Marrakech to see snake charmers, musicians and more. 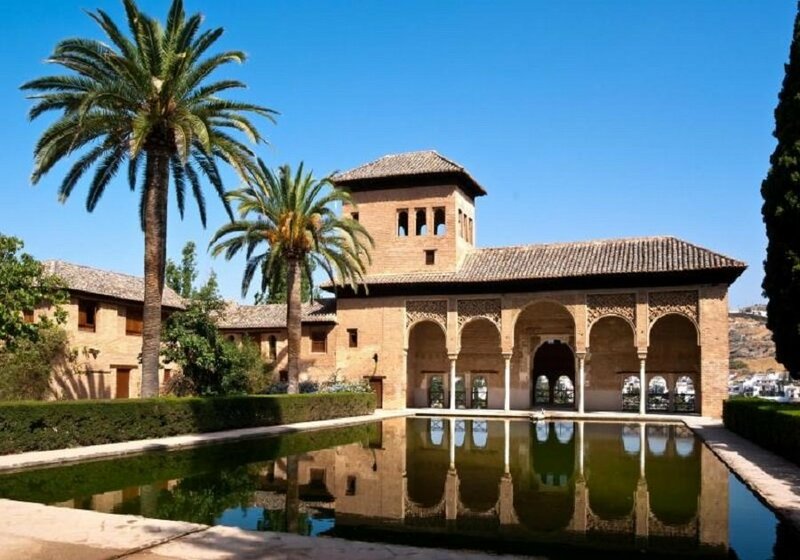 Discover La Alhambra and its history of Granada’s Arab past.